Thank you for visiting my website. I’m so glad you are here! I am a natural-light photographer who specializes in portrait and lifestyle photography for high school seniors and families. I am originally from upstate NY, but have lived in Carmel, CA for the past ten years. I have a Bachelor’s degree in Marketing and Management from LeTourneau University in good old Texas. I married the love of my life, Nathan, and we now have two beautiful daughters. I have always loved photography and the ability to get creative and still work with people. I was always considered the girl who took too many pictures in junior high and high school (back when film was our only option). It’s something that I just cannot get enough of sometimes! I am honored to call myself a photographer and to have the privilege of working with people who want to capture life’s big and small moments. As a mom and a wife, I am always trying to capture those sweet times with our family and the best way to do that is with a picture. My desire for your session is to meet your specific goals for pictures, whether that includes a formal session or a more candid approach. My sessions are relaxed, natural, and I like to have fun with my clients! 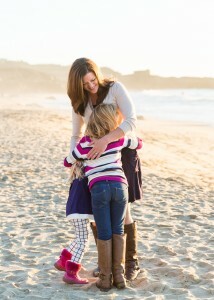 I hope to have the opportunity to photograph you and your loved ones. Although it is my job, I am very passionate about photography and love when I get that perfect shot. I use professional Nikon equipment and do all of my editing on my 27″ iMac. I have taken a photography class previously, but consider myself mainly self-taught. I have completed a Photoshop CS5 class and attended Jessica Feely Photography’s Senior Portraits workshop. I am currently a member of the PPA (Professional Photographers of America). I am so thankful that God has blessed me with the gift of photography. Please feel free to contact me via email, phone, or the online contact form to set up a session or with any questions you may have about packages. I am happy to customize a package just for you.